I replaced some parts of my Viggen with upgraded parts. Then I replaced some upgraded parts with even more upgraded parts. Here you will find the parts I don´t need anymore. If you are interested, just send me an offer. I will ship worldwide for a decent price (dhl express is now a part of the German postal service), and I can accept money transfers and pay pal. Viggen back box, 2.5", looks and sounds very nice. SOLD! 3" JT cat back system (middle silencer and back box). Dual exhaust tip. Used for less than 1 year. SOLD! Viggen springs (4). Makes every Saab 9-3 sit as low as the stock Viggen. Have been on the car for 60.000 km. SOLD! Viggen brake caliper carriers (2), for 308mm discs, perfect condition. SOLD! Two Hirsch Performance brake discs, 332x28mm, only used for 6.000 km. Expected lifetime > 60.000 km. SOLD! 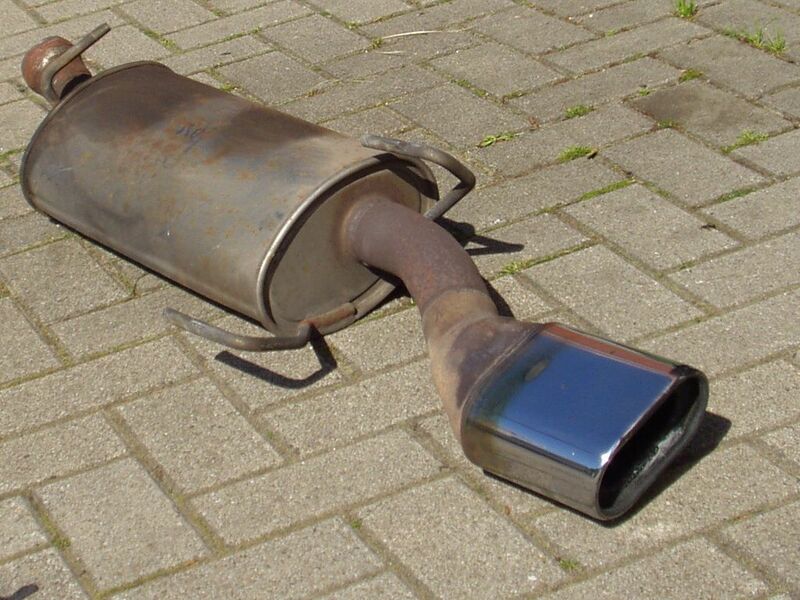 Original catalytic converter. Works fine (identical to the cat on almost every Saab 9-3 model). Viggen Middle Silencer (identical to the middle silencer on almost every Saab 9-3 model). Dunlop SP9000 tires, used, 215/45 ZR17, just two left. Yokohama AVS Sport tires, used, 225/40 ZR18, just one left.